Read also: How Did the Sailor Soldiers' Views of Love and Life Differ? 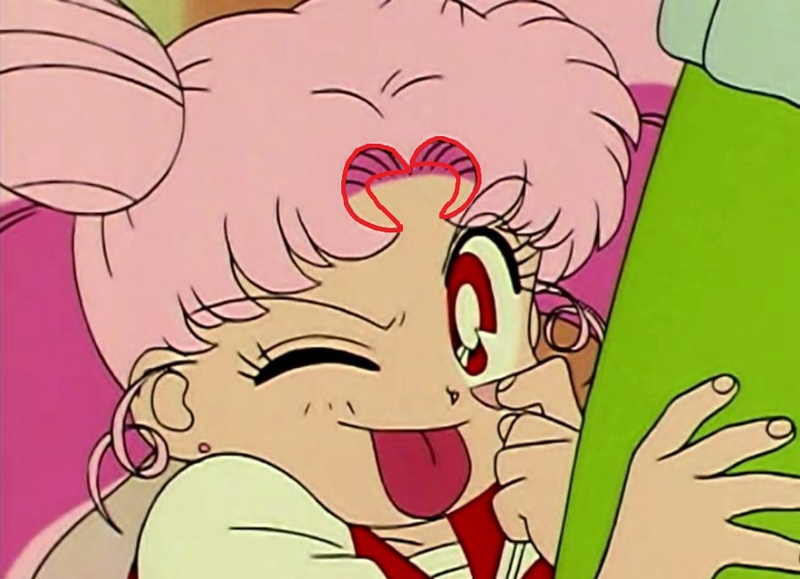 ← Are the Sailor Soldiers’ Bust Sizes Unrealistic? Could that thing on the name tag be a hastily drawn safety pin, holding it on his shirt? I suppose it could be! Though in that case, I’d still assume that the artists drew it that way to suggest rabbit ears, since it’s always drawn in the same location. Typically, these types of name tags for students are either in name-tag holders with a safety pin at the very top of it, or are adhesive like a sticker that is attached to the clothing itself. But it’s definitely a possibility! All of my students in both junior high and elementary have their name tags held on by safety pins. I agree, it’s too bad there wasn’t more time to show Usagi and her home life with her family. 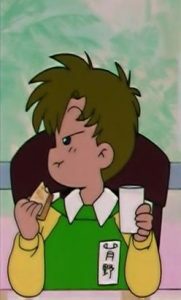 Obviously they couldn’t have shown as much as they did in season 1 later on, but the occasional quick scene with her mom or Shingo would have gone a long way. Just a quick reminder of her normal life, before going into the crazy adventures. This is one of the primary reasons why the first arc of anime is my favourite. In that it had the benefit of a rich supporting cast compared to later on. It added a lot to the whole ‘slice of life’ aspect of the series. By the time we got to Stars, even the Inners had started to become less important. If they ever (and I still hope for it) did a prequel series set in the Silver Millennium, it would have been nice to have seen possible past incarnations of Usagi’s parents in cameo roles at least. Along with a glimpse into the other Senshi’s childhoods. It’s also occurred to me, that we still don’t even know if Serenity had an actual father. There was this suggestion of a possible virgin birth, but it’s very vague. Serenity Senior herself is a pretty enigmatic character. I guess there’s a future article there. It’s kinda amazing just how fleshed out the world had gotten during season one of the anime (and, to a lesser extent, the manga) when you stop and look at all the supporting cast. Even excluding one-shot characters-of-the-day, Usagi’s other friends at school at least got names and some (minor) screen time. 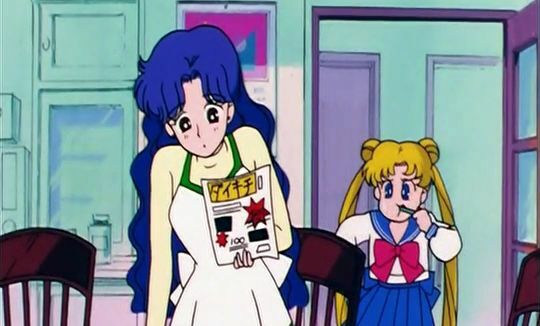 If you take a look at some of the products which were released really early on in the life of the Sailor Moon anime, Naru, Umino, and even Shingo get a starring role in a lot of the toys and activity books, so you can see that they were going for more of a general focus on Usagi’s life and the world around her. I guess I understand why they had no choice but to cut a lot of these characters in order to make room for the rest of the Sailor Team, but it’s really a huge shame in my opinion and the world felt a whole lot smaller as the series progressed. As for Princess Serenity’s father, judging by the way the rest of the series goes, it’s probably rather likely that he died. =p Parents don’t do too well in Naoko’s universe, after all. But what we do know is that the Serenity line on her mother’s side is the royal family, and that the Serenity line only has one daughter, so it does lead to an interesting question of where her father came from. Maybe some sort of dashing court advisor? Stable-boy? I got the impression it wouldn’t have been someone particularly high ranking. I just find it odd it wasn’t at least brought up once at any point. Who knows, perhaps like her daughter it was some kind of forbidden love. You’re right. 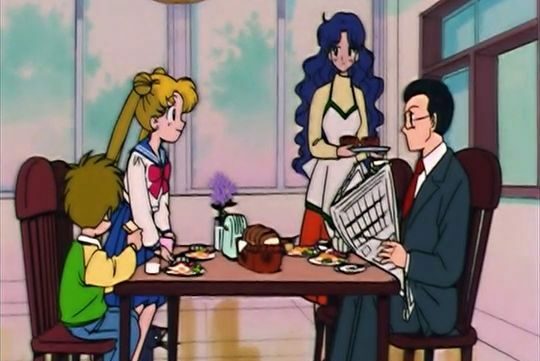 I suspect if Naoko Takeuchi were to come up with a father for Usagi she would draw from mythology… but she’s already made use of the relevant myths for a goddess of the moon. The goddess Selene was in love with Endymion. This obviously implies that Usagi is meant for Selene’s role… but then who does Queen Serenity match up with? Selene’s parents were two of the Titans, whose brothers are Cronos and Helios btw. But I don’t think Queen Serenity was a titan unrelated to the moon. In the world of Sailor Moon, the title of “Queen Serenity” seems to be hereditary and passed from one long-lived mortal to her daughter, and so on. Maybe Queen Serenity once had her own “Endymion”. Mythology also says that Selene had a child with Zeus… maybe Queen Serenity might have had a short relationship with some very powerful being like that? 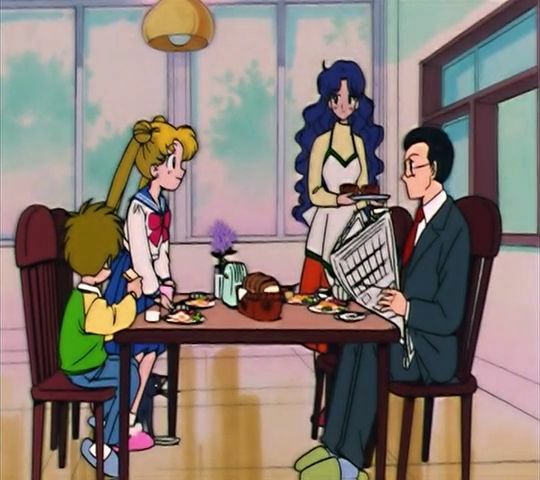 After all, we don’t know that Usagi’s father is dead.. just that he’s not around. Funny that you mention Zeus. A god who amongst other things was infamous for having affairs. Be quite a twist if Serenity was the result of a one night stand. If you look at the rest of the Moon Kingdom (Queendom…?) line, though, it seems that they keep expanding their territory with each successive line, so I have to wonder if there was some sort of connection with Queen Serenity’s husband that had added to their domain. Just shooting in the dark, but maybe the Moon Kingdom wasn’t always the ruler of the planetary warriors? I guess what I’m saying is that it’s just a bit interesting when you stop and think that prior to Princess Serenity and Prince Endymion meeting and falling in love, the Moon dynasty actually didn’t necessarily rule Earth; it was an independent entity. Assuming (as the series implies?) 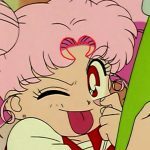 that ChibiUsa ends up with Helios, then ultimately the Moon/Crystal Tokyo dynasty will also expand into the world of dreams. That’s not to imply that each of these marriages are always for political aspirations, but it could imply that Princess Serenity’s father may very well have been someone reasonably important!